How Increased Engagement Leads to Increased Sales. I recently purchased a new knife. 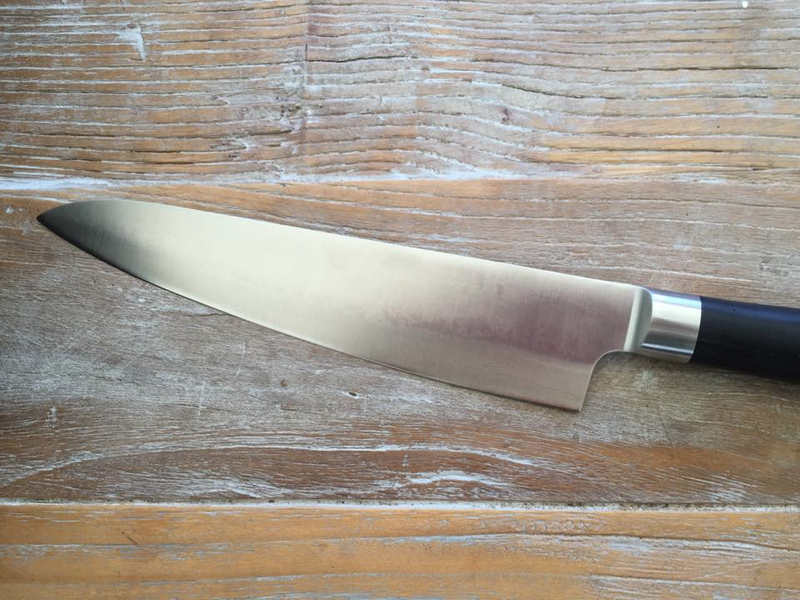 Not just any knife — an authentic Japanese Chef’s knife. Hand-made in Japan, it’s constructed with over 44 carefully folded layers of steel. But I didn’t buy this knife. It was sold to me. In fact truth be told, I didn’t need this knife. But I was put into a position where I had to have it. It was earlier this year and after listening to me complain for weeks about the fact that every knife in the knife block was blunt, my partner Brendan had organised ‘Mister Sharp’ to come over and professional sharpen all our knives. “He’ll be here about midday. Here’s the exact money because he only takes cash”, he said as he walked out the door that morning. Now these are good knives – a German brand called Mundial but they’re a few years old and they get a good work-out and just needed a proper sharpen. ‘I love cooking … when I get the chance’ I said. I racked my brain for my most recent Masterchef-inspired moment. “Mustard-crusted eye fillet of beef with red wine jus and balsamic-baked baby beetroot”, I said, instantly realising that I sounded like a complete wanker. “Beef would have to be my favourite”, he said as he took the knives to his van to sharpen them. 20 minutes later he returned, with the knife block of almost-new razor sharp knives. But he was also holding a black box, about 30 cm long. “Amanda, if you love cooking, you’ll really appreciate this”, he said, slowly opening the box. “Here, hold it”, he said, as he passed the handle to me. At this point, I had what I can only describe as an outer body experience. I knew exactly what was happening but I couldn’t control it. As I took the handle of the knife I knew there was no going back. Without even knowing how much it was, I knew I was about to purchase a really expensive knife that I didn’t need but had to have. “Imagine gliding through your eye fillet with that”, he smirked. Then came the final killer blow. My final attempt at getting out of this purchase was futile. “I don’t have any more cash on me”, I said, hoping this would save me. Yes, that’s correct ladies & gentlemen, he’d already written me a receipt! Storytelling. Personalisation. Engagement. Social Proof. Scarcity. Assumption. Six Powerful Principles that have the potential to increase your sales, boost your profits and convert your existing customers into raving fans who will gladly do all your marketing for you in the way of word of mouth referrals. How well are you engaging these emotions in the way you market and sell your business? Postscript: When Brendan arrived home later that day the first thing I said to him was ‘thank god you’re home! Please don’t ever leave me alone with the knife sharpening man again!’ When I saw the blood drain from his face I quickly explained what had happened and that the $36 knife sharpening actually cost $226.